Most real estate experts agree it’s a seller’s market right now, but they also caution that correctly pricing a home you are trying to sell is important. Too high and you will scare away potential buyers, but too low, you risk losing money on the sale. The housing market is hot, especially for sellers. Many people trying to sell homes find that an increase in home prices, combined with a limited inventory of homes for sale in parts of the country, have tilted the market in their favor. But sellers can still get the short end of the deal if they aren’t careful. Sellers who want their homes to stand out need to take certain steps to be sure the process goes smoothly and that they get an offer that meets their needs. Don’t test your luck. Of course you think anyone who moves into your lovely home should be willing to pay top dollar, especially if you’ve recently invested in some renovations or improvements. But listing a home at a price that’s too high above the market price could turn away some buyers and increase the chances that the home will sit on the market, brokers say. Buyers noticing that the home still hasn’t sold – especially at a time when many are snatched up within a matter of days – may begin to assume there’s something wrong with the property and use that as justification for offering a lower price, says Reggie Copeland, a broker in northern Virginia. Listing it at market price or slightly below might generate more interest, he adds. If a home hasn’t received any offers after two weeks, it might be time to revisit the price, suggests Will Wiard, a broker who works in the District and Virginia. A price that’s too low can backfire. Listing your home below market price can have the effect of drawing in a larger group of buyers, Copeland says. For instance, people who have committed to spending no more than $350,000 might hold off from visiting a place listed at $355,000, he says. The strategy also increases the chances that a home will receive multiple offers, which gives the seller options and could lead to a better price at the end as the buyers compete with each other, he says. 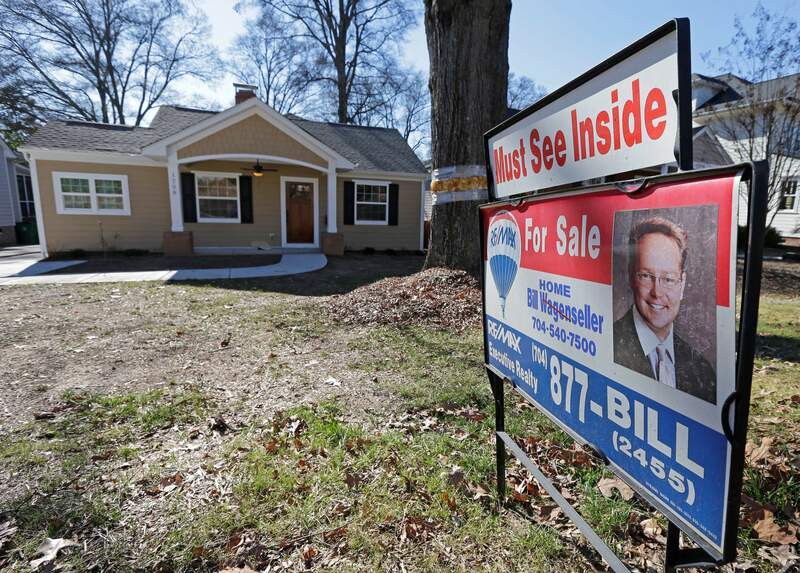 But set the price too low and the move comes with several risks, brokers say. Some sellers may not get as many offers as they expect, leaving them with an offer that might be lower than what they initially planned on. Another possibility is that buyers will get skeptical of the home that is listed for $15,000 to $20,000 less than similar homes in the area, especially if it’s not properly marketed, Wiard says. Once again, people might assume there is something wrong with the home and may not bother looking at it. For many sellers, it might be best to sell at market value or slightly below. Spy on the competition. Going to other people’s open houses can give you a better sense of how your home compares to others on the market, Wiard says. Check out the finishes in their kitchens, the size of their backyards and use the information to figure out where your home should fit in the spectrum. Make the major repairs. It might not make sense to install a granite counter in the kitchen that the new owner might hate. But it would be smart to replace broken appliances and address any structural issues. The highest offer is not always best. Better to go with the offer with the lowest potential for complications, Des Marais says. Recently, she worked with a client who received three nearly identical offers and decided to go with the one that was $10,000 less because the buyer had paid for a pre-inspection. That made it less likely that he would request additional repairs before closing on the deal and set them up to complete the sale more easily, she says.